Celebrating 14 years!! 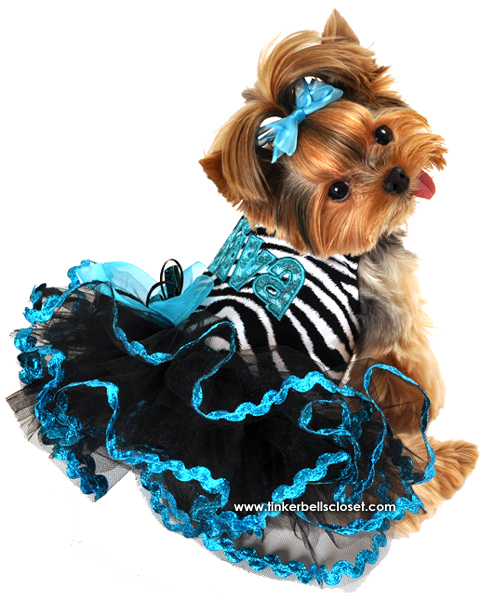 Tinkerbell's Closet Dog Boutique - Specializing in high quality custom sized designer dog clothes for small breed dogs. All designs made with much love & passion for design and great attention to detail by Shana Wilkerson. Shop for everyday casual dog clothing such as dresses, harness vest, shirts, coats, pajamas or shop for fancy, formal apparel and holiday designs. I ship worldwide! Register to receive updates on sales and special coupons!